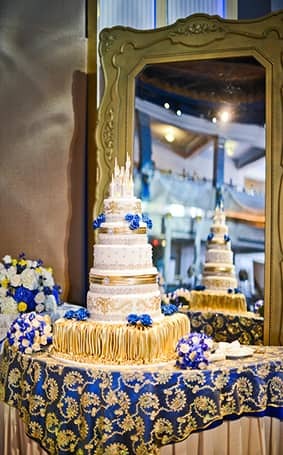 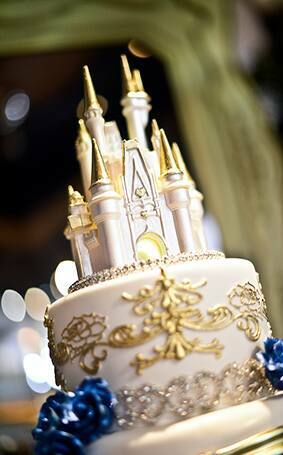 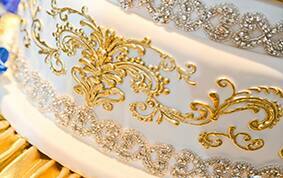 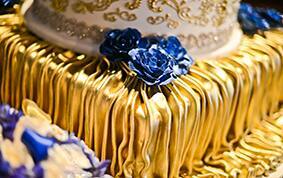 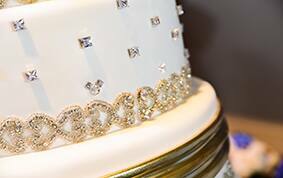 Inspired by the animated classic Beauty and the Beast, today's cake is simply regal. 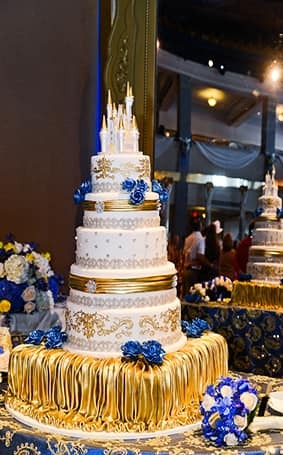 Four tiers accented with Swarovski crystals and gold filigree scrolls are crowned with a white chocolate castle cake topper to give this cake a royal presence. 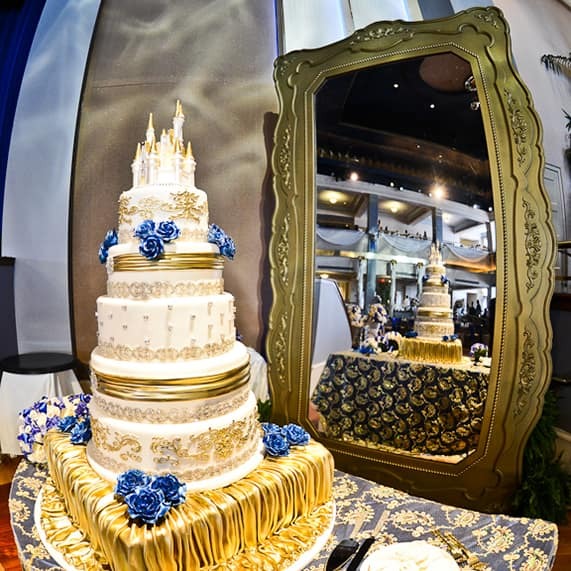 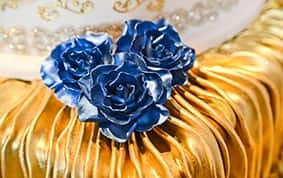 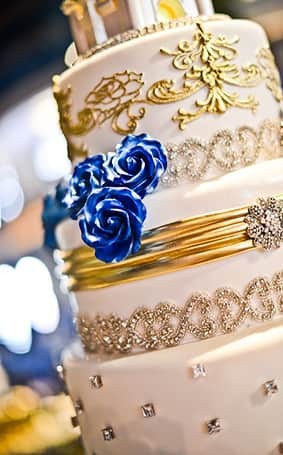 Resting on gold fondant shaped to look like sumptuous fabric, the confection features nods to the Disney classic with a touch of modern romance.